Summary: Sophie’s sister takes a toy away from her. Mom takes the sister’s side, and Sophie gets very angry, stomping-roaring angry. When “Sophie is like a volcano about to explode,” she goes outside to run & run until she can’t run anymore. Then the beauty of nature begins to calm her so that she can return home. Hanna’s Comments: I especially like 2 aspects of this book. The story doesn’t get caught up in the question of what’s fair. In fact, Sophie’s sister clearly grabs the toy from her. Instead it normalizes Sophie’s anger. This is especially welcome in a church setting where anger at God is too often taboo. Then the story encourages the audience to be appropriately physical (no destructive violence) & look to nature as a coping mechanism for anger. “The wide world comforts” Sophie in a beautiful way. What concerns me about this book is the age appropriateness of the strategy Sophie uses. Sophie seems such a young child. Uncontrolled running outside alone may be an unsafe & inappropriate strategy for similarly aged children. However, it is a wonderful message for those children with access to a safe outside environment who are old enough to venture outside alone. Consider the age & environment of your children before reading this book. After the reading, discuss with them safe responses when they are angry while you normalize their anger, even their anger to God. 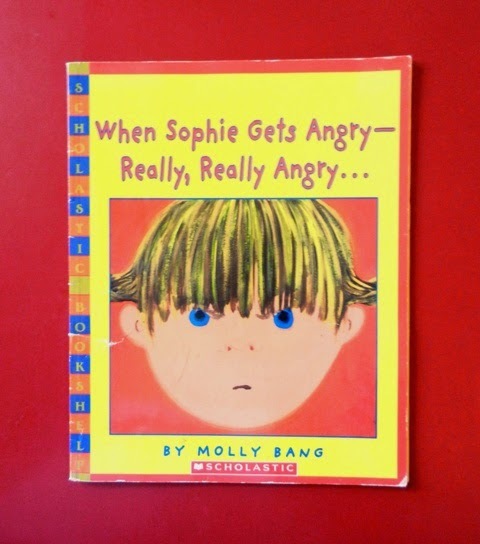 In 2015 Molly Bang published a another Sophie book: When Sophie's Feelings are Really Really Hurt.